The team news is in ahead of the Premier League clash between Spurs and Wolves at Wembley Stadium. Tottenham Hotspur face Wolverhampton Wanderers at Wembley Stadium at 15:00 GMT. Key players such as Harry Kane and Christian Eriksen keep their place in the squad after a hectic schedule and Dele Alli makes his comeback from injury. Spurs line-up: Lloris, Trippier, Alderweireld, Sanchez, Davies, Sissoko, Alli, Eriksen, Winks, Son, Kane. Dele Alli makes his comeback from injury after picking up a knock at Goodison Park in the 6-2 win over Everton. Dele travelled with the squad to Wembley on Wednesday but did not make the final 18 man squad. The 22-year-old has been in fine form this season having netted against Everton in the first-half before sustaining his injury. Moussa Sissoko has impressed many Spurs fans this season after what had been a turbulent start to his Spurs career. The Frenchman has featured heavily over the past two months and many feared he may burn out over the busy festive schedule. However, Mauricio Pochettino has stuck with the 29-year-old and he starts in central-midfield alongside Harry Winks. 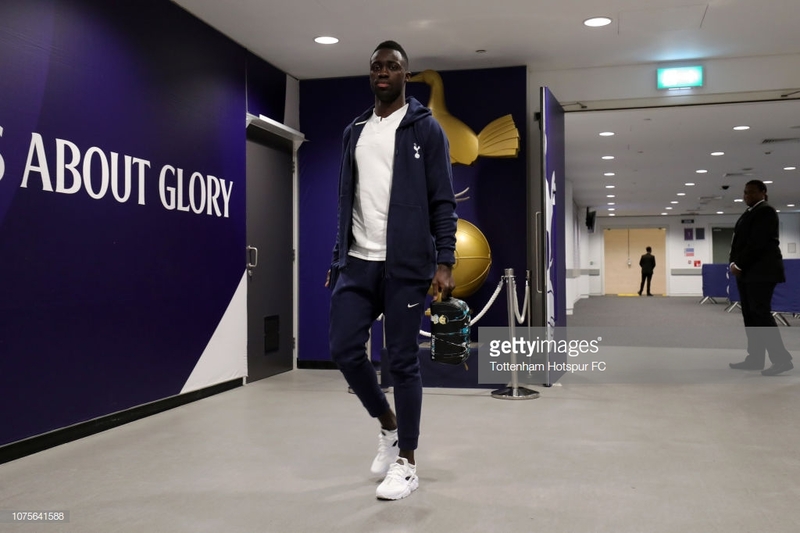 After returning from injury, Davinson Sanchez and Juan Foyth have taken turns in starting in defence alongside Toby Alderweireld. It is the Colombian who starts today as he looks to lock down the role alongside the Belgian defender. This comes in the same week in which Alderweireld's future was commented on by Pochettino as he indicated Spurs will trigger the extension clause in his contract.